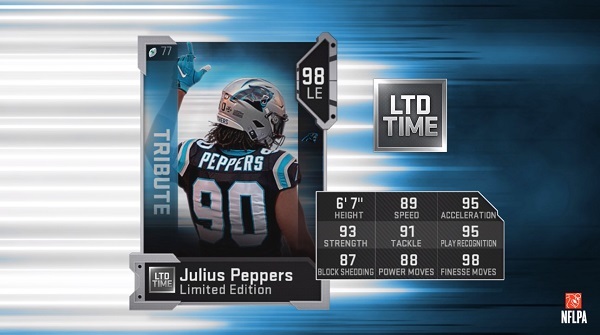 What do you think of these new LTD players? Nice new card. WHERE IS THE GLITCHES BEING FIXEDD? I CAN NAME SO MANY BIT I HAVE NAMED THEM ALL AND U NEVER FIXED NOTHING CAUSING ME TO LOOSE ON A FAKE PUNT I RAN INTO THE ENZONE FOR A TD. AFTER THAT IT GAVE THEM THE BALL ON MY 20 YD LINE. WTF IS THIS GAME ?? My last year for sure. What a joke.